Oakley Oil Rig Sunglasses are one of the most popular Oakley frames and include some of the Oakley patented technologies to create a comfortable, strong frame. Established in 1975, Oakley is a brand that has one focus; innovation in sports and ready to wear frames. Mirror Coating is available in certain colors and lenses which increases visibility. Polarized Lenses are available in certain colors which filter specific UV rays and help reduce glare. 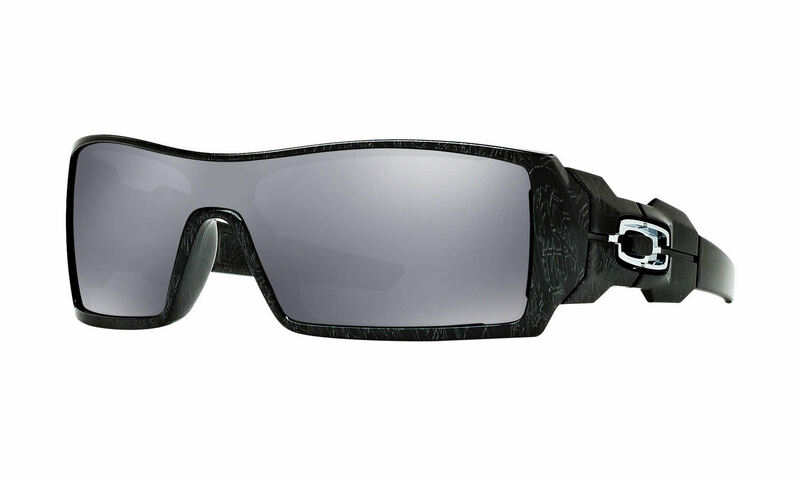 Redesigned style of the Oil Rig Sunglasses creates on continuous lens, which increases visibility. Oakley Oil Rig Sunglasses come in a multitude of lens and frame colors. Oakley Oil Rig Sunglasses feature High Definition Optics® (HDO®) lenses which meet American National Standards Institute for clarity and impact resistance. Signature O metal icon accents present on both temples. As seen on many popular, Formula 1 Drivers. Comfortable for both medium and large sized faces. Frames are constructed of lightweight, Oakley O Matter® for all day comfort and durability. Replacement lenses available in a variety of colors as well. Comes with Oakley protective carrying case and cleaning cloth.